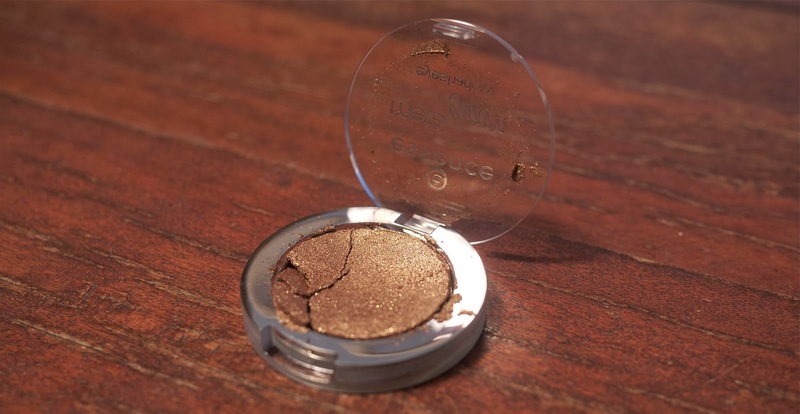 There are two cheek products in the Essence Metal Glam Trend Edition. The first, the Essence Metal Glam Highlighting Powder in #01 Gold Digger*, is a white gold highlighter that works well on the cheekbones and any other high points on the face. Essence often releases a highlighter in their collection and, whilst I thought the three I had in my collection would be quite similar, they're all a little different. There's also a liquid blush in this trend edition, the Essence Metal Glam Blush in #01 Glam-Me*. This liquid blush is a coral/apricot colour with a gold sparkle/reflect to it. I'm still yet to decide what I think of this. 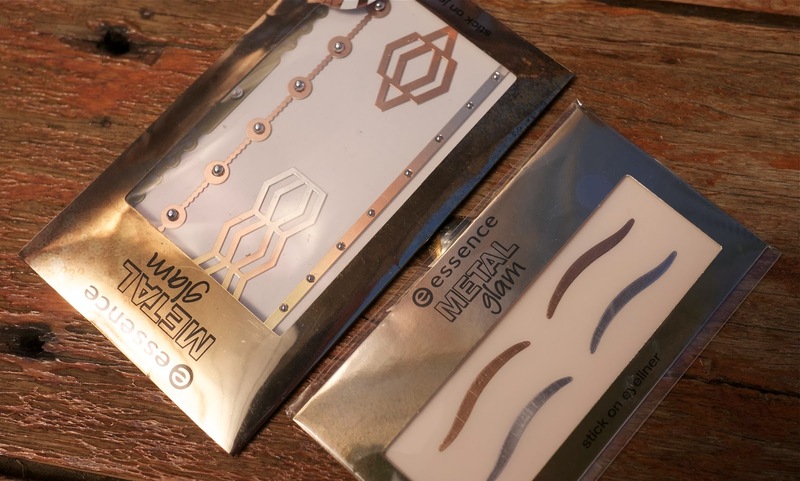 The Essence Metal Glam Eyeshadows are also a part of the permanent Essence collection, however they have released four new shades as part of the Metal Glam Trend Edition. I own #01 Steel-ing the Scene*, a really lovely golden copper shade. I really like the pigmentation and formula of these eyeshadows and, once I've acquired a few from their permanent line, I'll definitely review them! And finally, because no collection is complete without a little random, we have the Essence Metal Glam Trend Edition Stick on Eyeliner* and Stick on Jewels*. The Stick On Eyeliner has two pairs of reusable eyeliner, one in silver and one in rose gold, that is meant to be easily applied to the eye. I'm yet to give these a try but I definitely will. The Stick On Jewels are body stickers in a few different designs. I'm not sure about these two products but I think they're fun addition to the trend edition. The Essence Metal Glam Trend Edition also features three lip glosses and nail stickers. Out of the whole range, I would definitely recommend the Metal Glam Eyeshadows and the Highlighting Powder. Both products have beautiful colour payoff and are a lovely, creamy formula. Essence Metal Glam Trend Edition* is available in from March, 2014, and is available from Priceline stores nationwide. Do you find yourself heading out in search of Essence trend editions? What do you think of the Essence Metal Glam Trend Edition*? Those polishes look fabulous! Definitely need to pick them up! I love the look of those polishes! The 4 nail colours with the metallic finish- did it take just one coat to achieve that colour? or was it two coats? Looking forward to the collection, however the stick on jewels and eyeliner are a little odd! love the eyeshadows, polishes and blush ..